Good news for Indians, the powerful anti-corruption utility for citizens "The Right to Information Act (RTI) Of India" applications can now be filled and paid for online. The act allows increased transparency and greater accountability for the government as it enables Indian citizens to ask for information from any Indian constitutional authorities, including the executive, legislature and judiciary; any institution or body established or constituted by an act of Parliament or a state legislature. The process to get this information got more easier as now users can file RTI applications and first appeals online along with the applicable payment. The online payment can be made through internet banking of SBI & its associate banks and debit/credit cards of Mastercard and Visa. Simply goto the Govt. 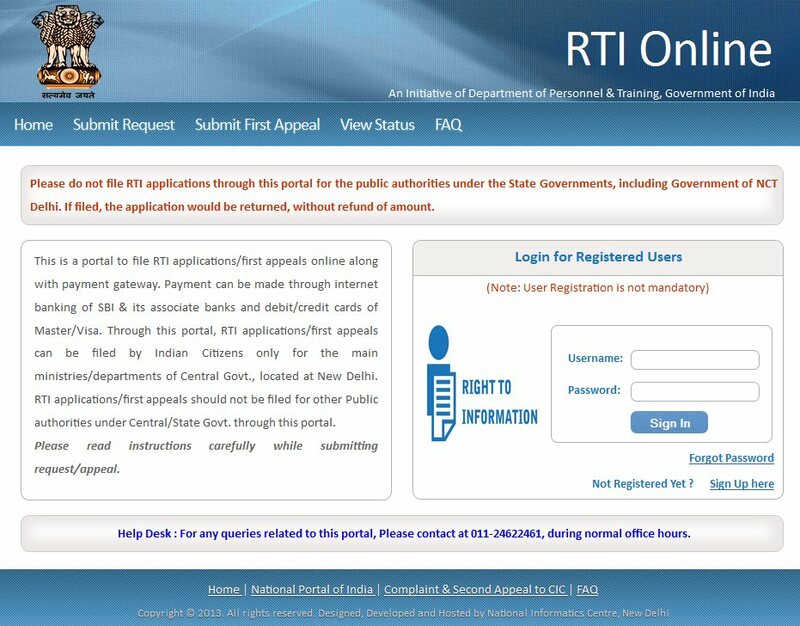 Of India's http://rtionline.gov.in/ and Signup there to start the proceedings, once the application is submitted and payment made for, users can use the portal to file the first-appeal and also check the status online.